Water Features Construction | Residential and commercial. Indoor and outdoor. 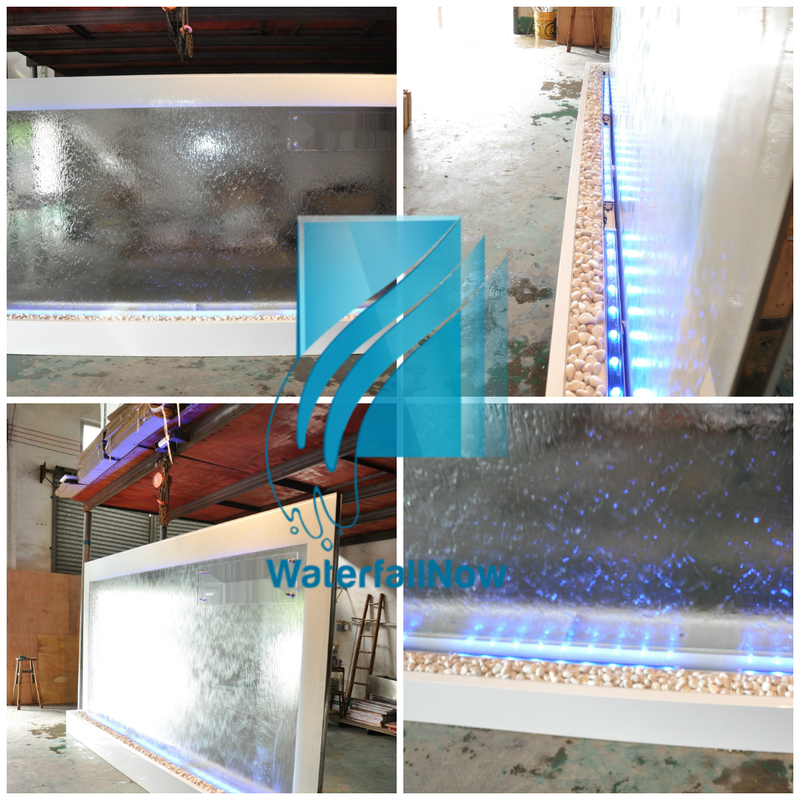 Water Walls | We use all materials and can build any feature involving a water fountain element. 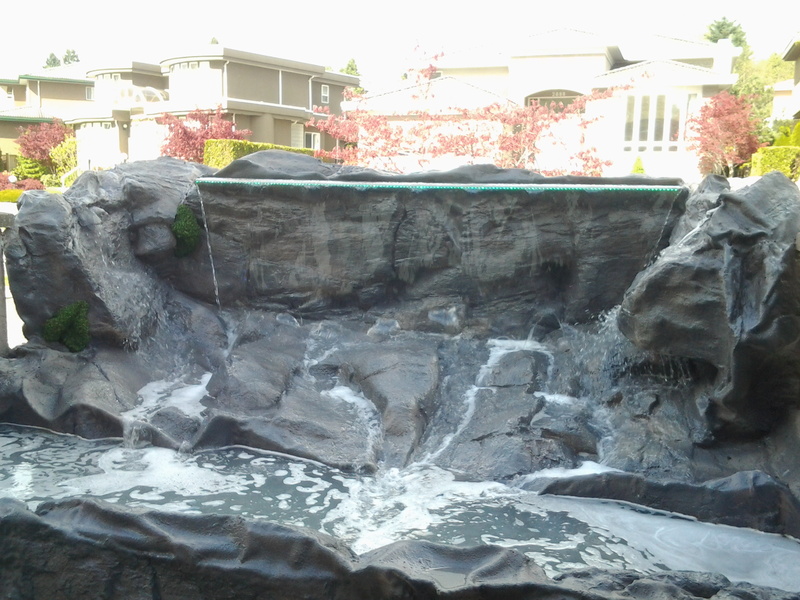 Artificial Rock Waterfalls | Custom hand made and looks better than real rock. Great for gardens, swimming pools, theme parks, or resorts. Pondless Waterfalls | Water recirculates through the use of a water pump so no water is wasted. 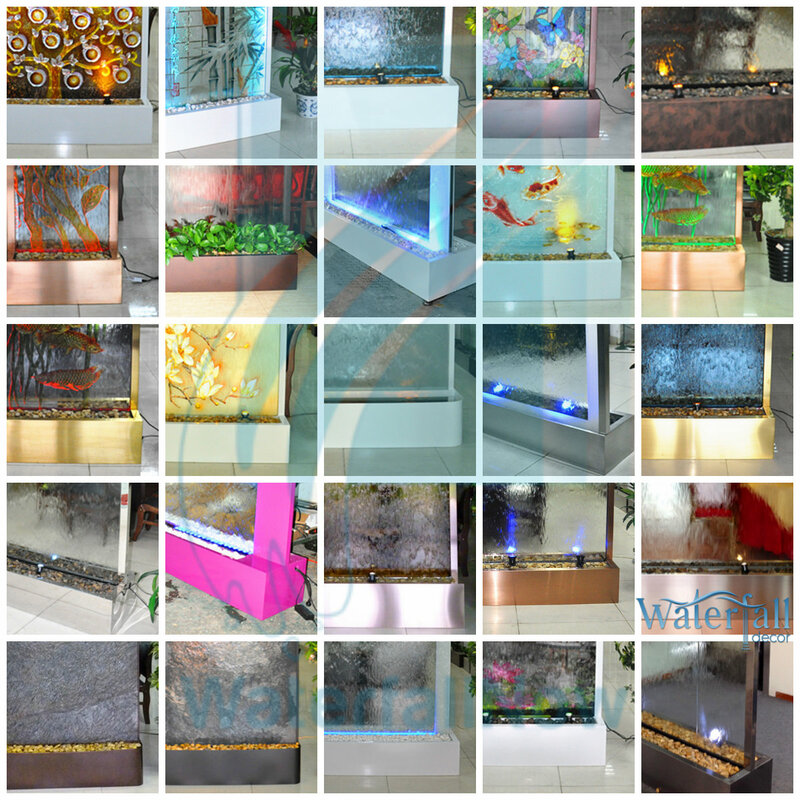 Indoor Floor Fountains | Custom & semi-custom manufactured. Any size. Contract wholesale designing & logos available. Waterfall Renovations | Add a waterfall to an existing space or improve on an existing feature through a variety of methods. Custom Waterfall Fountain Repair & Maintenance | We provide maintenance services for features that we build ourselves. Floor Standing Fountains | Choose any width, height, or depth. Any trim or surface material in any design, pattern, or style. 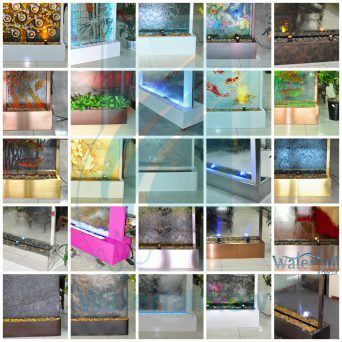 Wall Mounted Fountains | Choose any width, height, or depth. Any trim or surface material in any design, pattern, or style. LED Bubble Walls | Custom fabricated from acrylic tubes and sheets sourced from the USA. Programmable remote lighting. Rain Curtains / Thread Fountains | Custom made to specifications. 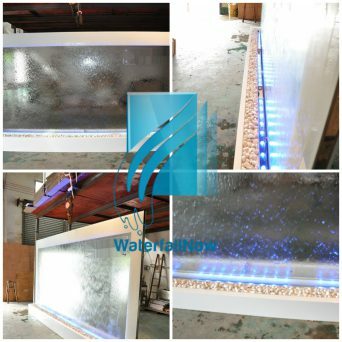 Waterfall Installation | We build, deliver, and install. 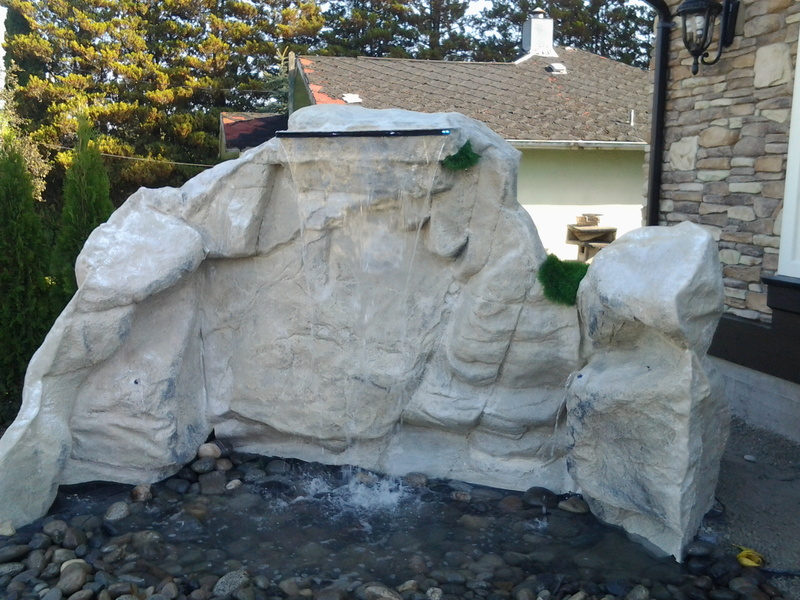 Fountain Rental | Custom faux rock display, water wall, floor standing fountain, bubble wall.